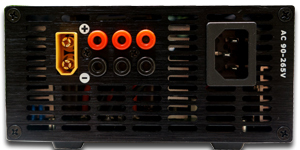 New generation PFC power supply is avaialbe. Active PFC, Synchronous Rectification, ZCS and ZVS full bridge topology applied to powerful S1500. higher efficiency can save energy and electric charge, at the same time smaller size than S1500 not only easy to take but also save more shipping cost. Optimization of system design make sure the 1500W power supply consume less than 1W at idel mode. 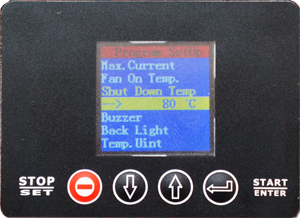 TFT color LCD is easy to display clearly voltage, current, output power and internal temperature. Advanced four button design easy to operate and control your power supply. The output voltage and current is controled and measured by ARM mcu, it is more accuracy. 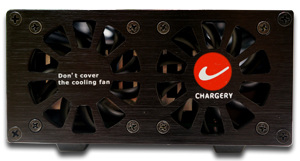 Although S1500 can output 1500W, the efficiency is still up to 94% at a smaller size than S1200 and only with 2 lower noise cooling fans. If efficiency=94%, means the input power is 90W---1500×(1-0.94); if it is 85% for other brand, it will be 225W. Active PFC comparation with passive PFC will improve the enery consumption from main power grid evidently. 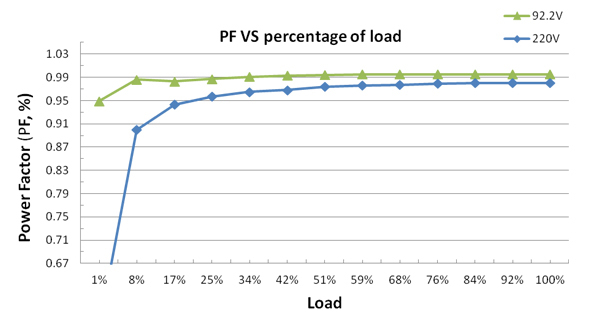 if efficiency is 85%, PF=0.7, the energy is 2521W. the surplus 874W (2521-1647) will be wasted as heat, and increase the power grid load. 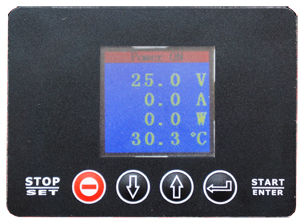 S1500 - 30V 60A - programming digital power supply is released now, optimize design circuit make sure ultra low power consumption and low internal temperature under 60℃ and imrove components' reliability. 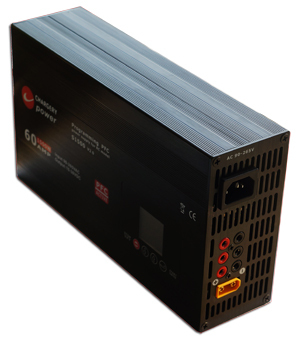 Especially, S1500 can output 1500W even more at 90V AC, and get a converting efficiency of 87.6% at full load. AC 90~265V input, no matter where you are, S1500 can work perfectly. it is also equipped with both US / Japan and Europe AC plugs, world wide use need not any alternative switcher. 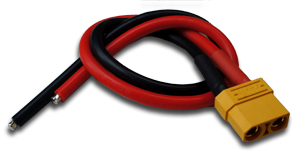 Adjustable output voltage from 10V-30V is convenient for most of applications. 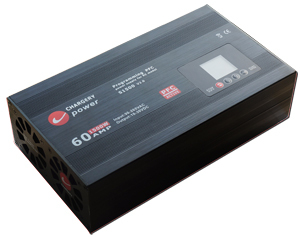 Connect to any DC charger which is supposed to be powered by DC 10V~30V, the S1500 will provide up to 60Amps 1500 Watts maximal. AC 90-265V worldwide operation: need not any alternative switcher, worldwide safe operation. Up to 94% of convert efficiency. 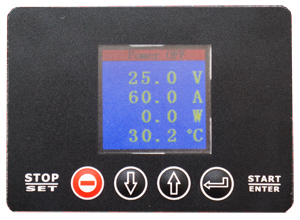 1.8” TFT color LCD display output Voltage, current, power and internal temperature on time. 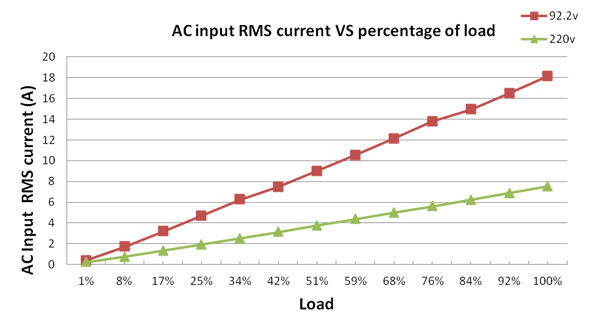 ZVS/ZCS and Synchronous Rectification assure the highest efficiency. 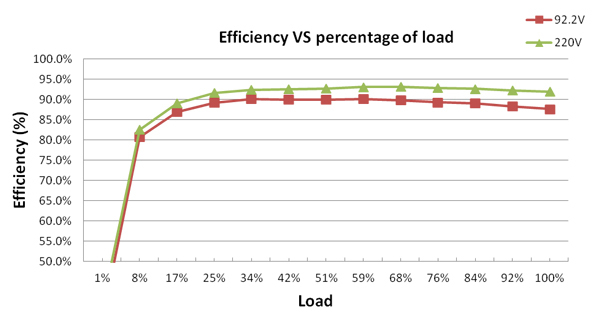 Efficiency: 94% at 65% load and 220V. 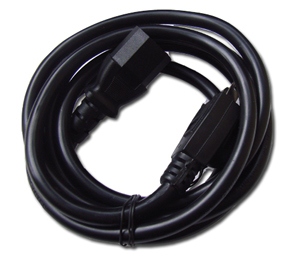 Net weight: 2.3Kg without input cable. S1500 is fully committed to compliance with the European Union’s RoHS directive. 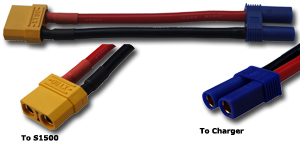 The right adapter wire (XT90 female to EC5 female, AWG10, 100mm length) is for Cellpro powerLab 8 (1344W charge power) and iCharger 4010DUO (2000W charge power). S1500 can power the chargers perfectly and get the maximal charge power safety and reliably.